This set comprise the Tonga Candy hammock with spreader bars, plus a hammock stand. The elegant handcrafted stand is made of spruce and is highly stable and secure thanks to its quality glue laminated wood structure. 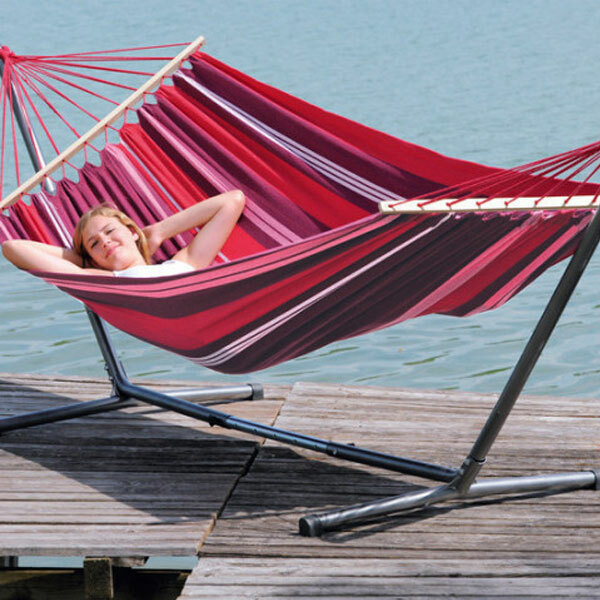 The hammock is made of EllTex and provides optimal resistance to weather and UV light. The Sumo stand with the Rockstone coating plus our great looking EllTex hammock: weatherproof and perfectly matched!